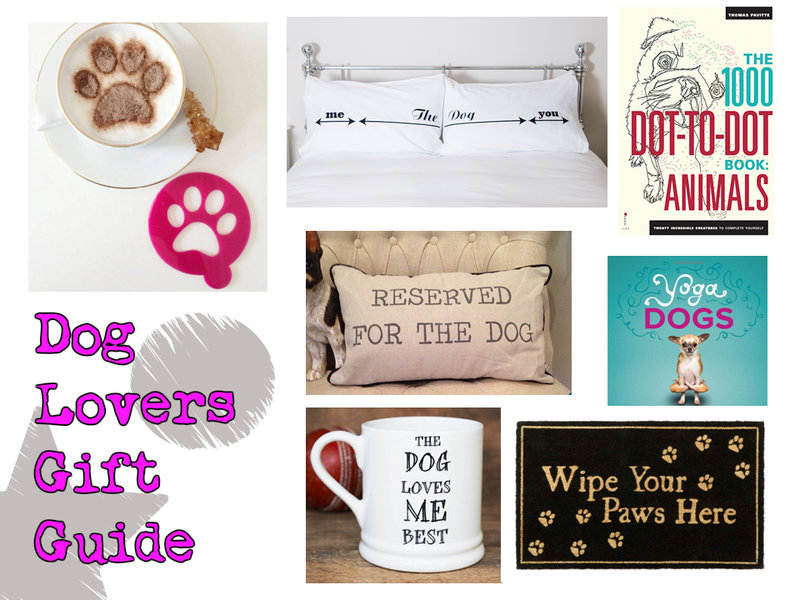 A Dog Lover's Christmas Gift Guide | gingerbread smiles. On the build up to Christmas this year I've created a few alternative gift guides for different tastes. First is a list of great gifts for people who love dogs! Although I don't actually have a dog, I know lots of dogs and their obsessive owners! A cute present for someone who loves their coffee! From an Etsy seller, this coffee stencil will go perfect in a dog lovers' home and is cheap enough for a secret Santa present. I think anyone who has a dog will agree with this representation. The dog gets as much bed as it wants whilst the couple squish up to the sides. As this is just the pillowcases its a great present as the receiver can use it with any bed spread and you don't have to find out their duvet size. Similar to a colouring book, this dot-to-dot would be great for stress. A calming present for someone who loves animals. This would be a lovely addition to someone's lounge. If the dog is a regular visitor onto the sofa, this pillow could mark their space so nobody takes it. This is something that people can keep on the coffee table to entertain guests when they visit. Who doesn't love a good mug! This one is cute, quirky and a good size for a nice cuppa! A nice present for someone who has just moved into a new house. Perfect for outside their front door and a lovely design. Will you be buying for a dog lover? I hope a few of these gift ideas take your fancy! Love the pillow cases - definitely sums up this household! !